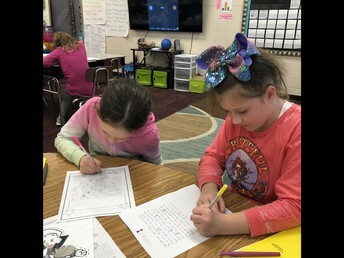 Reading- I've been holding individual reading conferences to discuss our readers' notebook response letters to focus on finding text evidence to support our thinking. Students are working hard on their readers' notebook letters. Math- We finished up Unit 2 this week and took our post test. We will begin Unit 3 next week which focuses on rounding and multi-digit addition and subtraction. Computer Science/Social Studies- In our E4Tech lessons this week we wrote algorithms for playing tic-tac-toe. We got feedback from others on how to improve our algorithms. Writing- We will be finishing up our opinion unit and will take a break from Lucy Calkins until the beginning of December. We will use that time to focus on our food security unit and integrate science and writing. Click here to see the homework assignment for the week. Parent/Teacher conferences will be the week of Nov 12th. I will be holding conferences on Tuesday Nov. 13th and Thursday Nov. 15th. 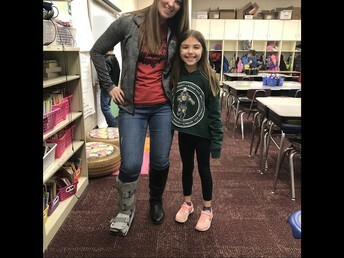 If your child works with Mrs. Braatz, please sign up for a Tuesday or Thursday slot if at all possible. If you have had an IEP meeting recently or in the near future we can count that as your conference. During morning meeting we've been working on coping with our worries. Sometimes we get "lost" in our thoughts and realize we aren't being present in the moment. 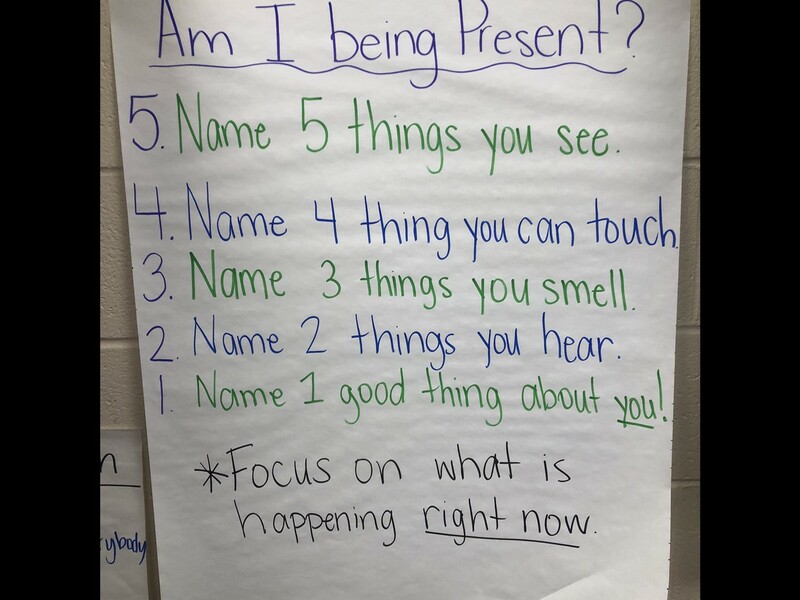 I taught students a strategy to bring themselves back into the current moment when they realize they aren't focused or being present. 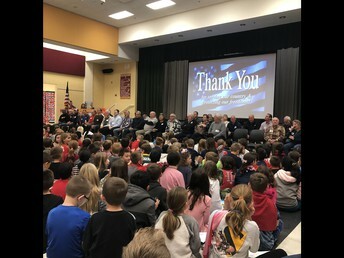 We had a wonderful Veterans' Day ceremony today to honor our service men and women. Thank you to all who were able to attend and those of you who have served our country. Each hallway read a poem to honor our Veterans. 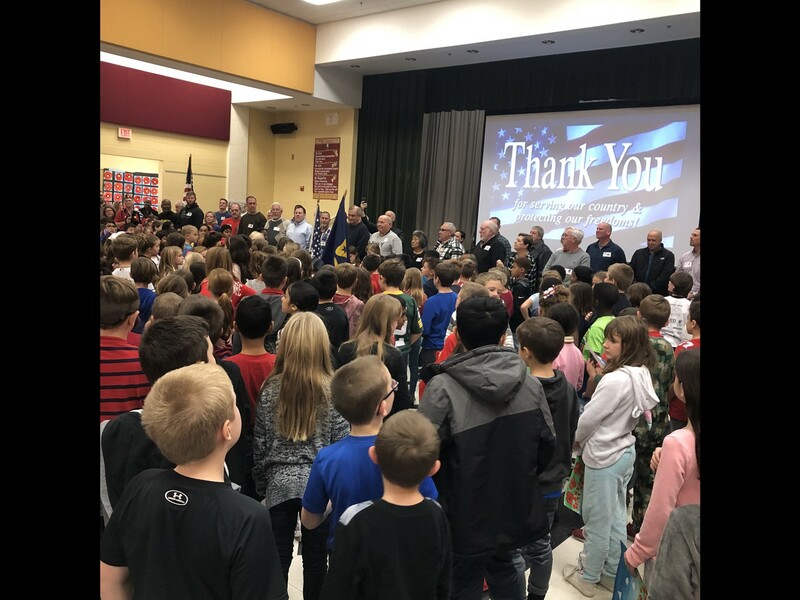 Troop 1067 conducted the flag ceremony. Way to go, Charlotte and Noelle! 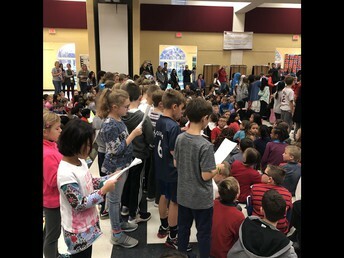 Students sang a beautiful song to honor each branch of the military. Paisley's cousin plays for Michigan State. We had a little rivalry going on in the classroom today. 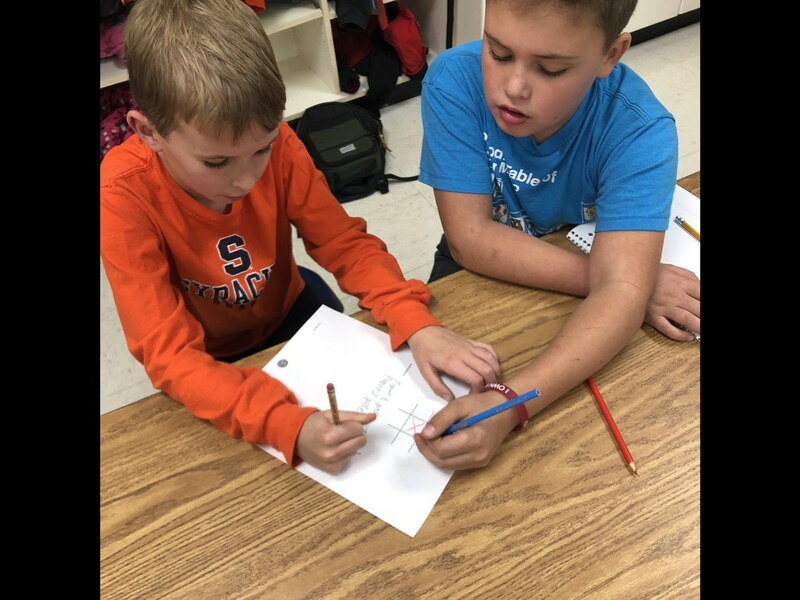 Students worked together to write algorithms for playing tic tac toe. Students worked to write for volume by participating in a write a thon. How many sentences can you add in 8 minutes? Report Cards will come home on Monday, Nov. 12th.